From The Live-Bloggers: Thank You! Thank you, everyone, for reading our live-blog of the TEDxColumbus conference. There were so many great ideas shared today. The theme of the conference has been “a moment in time.” And this day has been a collection of really surprising moments: everything from exploding gas bubbles, jumping spiders, and great musical performances to stories of unseen tortures and illustrations of the fragility and importance of life. The key is that all of these things, from the fun to the tragic, from practical ideas to more abstract ones, are the moments that make up the human experience. It’s been a joy to be able to share those moments and to take some time to write and think about them. 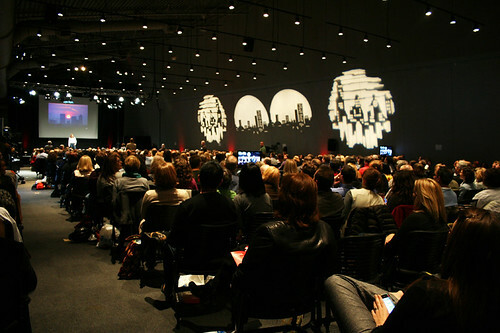 I hope everyone had as interesting an experience at TEDxColumbus as we, your faithful live-bloggers, did.